You may remember that Terry brought bought part of her Sansevieria (Snake Plant) collection to show us. I happen to have on of these plants myself. It has been with me for 20 years or more. It tried to put my eye out once, but that is another story. 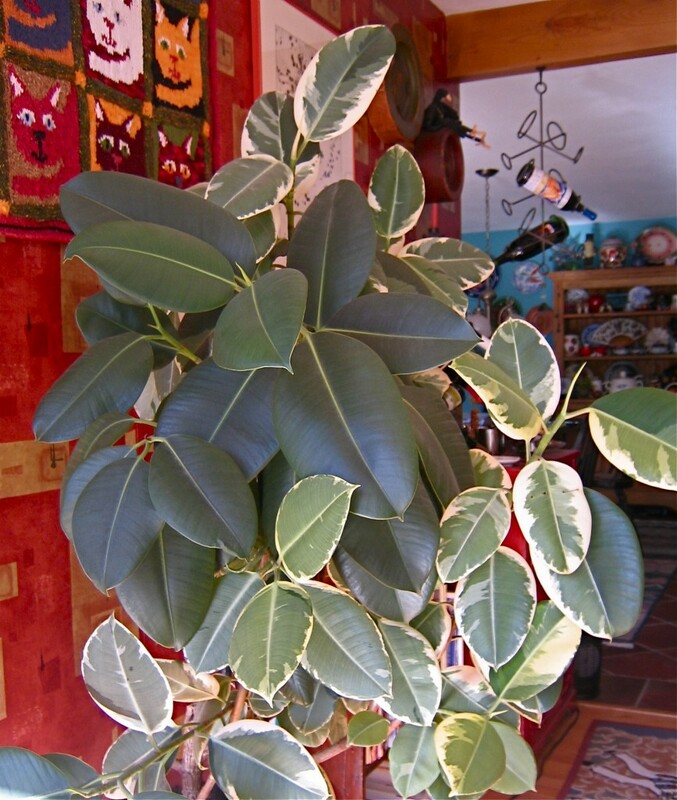 Variegated Rubber Plant – NOT! Does anyone know why my variegated rubber plant is acting strange?